Google announced on their blog that they are making several updates to Google AdWords click-to-call ads. The updates include the ability to manage them at the account level, expanding the automated call extensions, adding business names in the headlines and much more. Account-level call extensions are now rolling out to advertisers this week and should help you set them up across your campaigns more efficiently. "You can implement them once across your entire account rather than adding them multiple times to individual campaigns and ad groups," Google said. Also, automated call extensions is rolling out over the next few months to more advertisers globally. 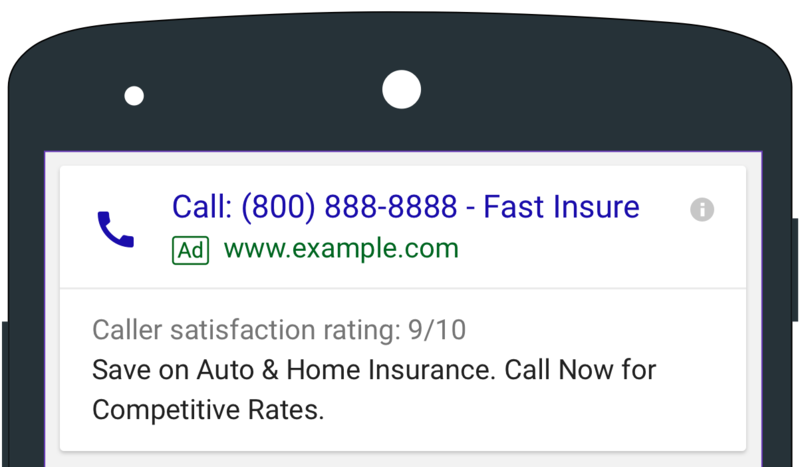 "AdWords will identify landing pages that already feature a prominent phone number, and automatically set up a call extension and call reporting for this phone number to help you drive more calls to your business," Google said. And new reporting is also being released soon. 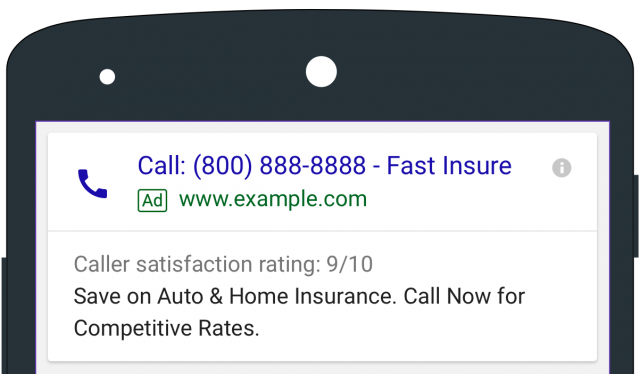 Google is adding new call details to your keyword and ad copy reports. Additional columns for “Phone impressions” and “Phone calls” specifically will be added to the reports. "For example, consider using call-only ads on keywords with the highest phone-through rates, or decreasing wait times when you have customers on the phone to improve call conversion rates," Google said. Previous story: Should Google Penalize Sites With Auto-Play Video Ads?